In the late 1960s and early 1970s the John Lennon and Yoko Ono began to move towards revolutionary socialist positions. Like many of their generation they felt the impact of the mass radicalisation of the movement against the war in Vietnam and the fallout from the events of May 1968 in France. They had a close relationship for a while with the the International Marxist Group (IMG), a predecessor organisation of Socialist Resistance. 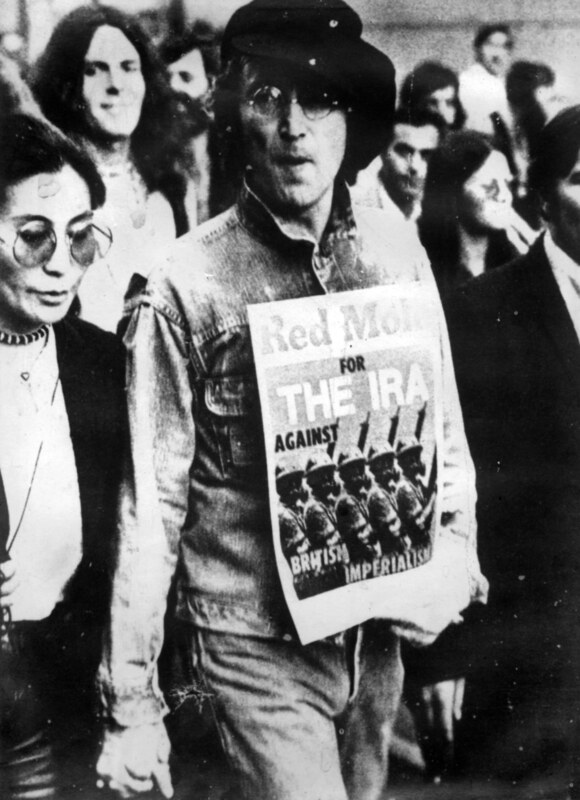 The famous picture of John Lennon marching with a copy of Red Mole, newspaper of the IMG, dates from this time, as does a long interview, running over four pages, he and Yoko gave to Tariq Ali and Robin Blackburn for the paper in 1970. Until now, the audio of this interview has not been publicly available. The cassette on which it was recorded, at the IMG’s Pentonville Road office, was believed lost but a copy has recently come to light. So now, for the first time, you can hear John Lennon and Yoko Ono make the case for revolution, feminism and the racism they faced when they fell in love. He also reveals that Sir Paul McCartney is a conservative and that contributed to the Beatles’ split.